“Perched on london's ancient Hampstead Heath, this 6-storey heritage home is an essay in the art of discretion and drama”. From the exterior, this heritage listed property sits subtly in its genteel neighbourhood; inside, there is an exuberance of organic flourishes and contemporary juxtaposition in the interior to the more traditional exterior. In a collaborative process, over a three-year sensitive restoration together with Munroe architects, the clients added an underground pool, together with a gym, spa, sauna, wine cellar, elevating parking bays, contemporary conservatory, glass bridges and triple volume skylights. The interiors celebrate these volumes by virtue of the natural materials and finishes, bleached trees, bespoke designs, curvilinear Zaha Hadid and Minotti furniture, and organic chandeliers made of 200,000 sustainably sourced shells plaited onto rope, which evoke the wild heart of Africa - a much loved stomping ground of the family for whom this home was customised. 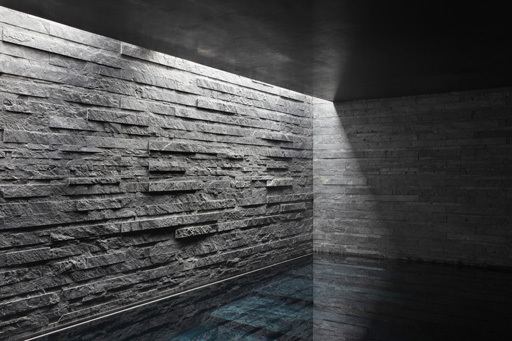 Besides the sophisticated fully integrated building technology, solar and rainwater harvesting there is also an incredible underground pool with rough dark quartz walls rising out of the water meeting coal-black polished plaster ceilings and tiered steps carved out of solid stone. His and hers studies celebrate the private and professional passions of its dynamic owners in a very personal expression of their interests in entomology and global exploration.